School of Engineering, University of St. Thomas, St. Paul, MN, 55105-1079, USA. This paper presents a detailed numerical simulation of the fluid flow characteristics of a synthetic jet. The fluid motion is caused by an oscillating piston within a circular channel which is connected to a larger cavity. The oscillating piston utilized a sawtooth forcing profile, and the solution encompassed the channel geometry, the cavity, and the fluid domain external to the cavity. Momentum fluxes through the orifice and over the exterior of the cavity are calculated. 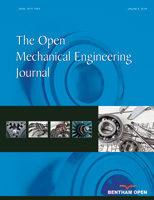 The contribution of the external flow to the induced momentum, by means of the co-flow, is investigated numerically. These findings support previous experimental and computational investigations of the existence of co-flow and its overall contribution to mass and momentum flowrates. The effects of the asymmetric forcing profile on the net and instantaneous momentum fluxes, as well as the co-flow mass flux, are presented. Of particular note, it was found that the shape of the sawtooth profile has a significant impact on direction of momentum transferred to the fluid, however, the absolute magnitudes of this momentum flowrate were found to be negligible compared to the momentum flowing through the orifice.